Nghe An province is located in the north central coast of Vietnam. It is the largest province in the country, covering 1,649,270 hectares. The province contains over 888,695 ha of forestland, mainly located in the western areas of the province. 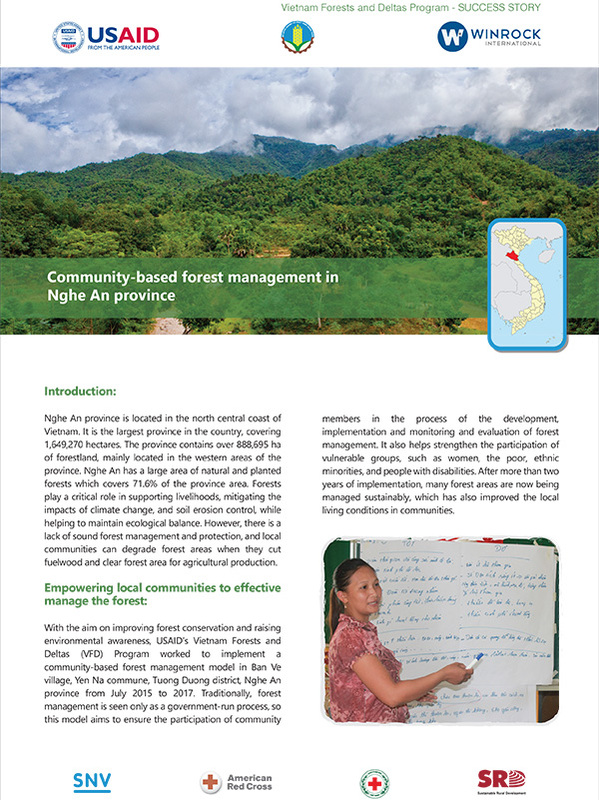 Nghe An has a large area of natural and planted forests which covers 71.6% of the province area. Forests play a critical role in supporting livelihoods, mitigating the impacts of climate change, and soil erosion control, while helping to maintain ecological balance. However, there is a lack of sound forest management and protection, and local communities can degrade forest areas when they cut fuelwood and clear forest area for agricultural production.